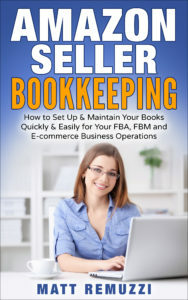 Amazon Seller Bookkeeping Made Simple and Painless! Get Peace of Mind, Real Insight Into your Amazon-Based Business and Ready to File Tax Time Accounting Help in Plain English- and all for a Great Price! Then see 7 MORE Reasons to consider our Done-For-You Service! We know Amazon seller accounting inside and out and will work with you to get your business books in perfect shape, but we'll do all the work, all you need to do is provide some information and access- it's often only a few minutes a month for you after that! Tax Time Becomes a Breeze! Everything we do ensures that at tax time your books match up with what Amazon sends the IRS and that you also get credit for every possible legal deduction, expense and write off you can so you pay the minimum allowed in taxes. Your report comes wrapped up ready to file months ahead of the tax deadline so you're totally prepared. It can be very hard to tell from the Amazon reports, after fees, after trying to track your inventory costs and everything else where you really stand. With the books done, it will become very clear to you exactly how well the business is doing and just how much your effort is paying off! Have questions? Not sure how some of this works? Don't worry- we're happy to answer any and all of your questions and we speak plan English not accountant! Unlimited support for all your questions is included in our pricing. With our pricing, you don't pay for anything else! We can cover the cost of QuickBooks and our process tracks all your fees, SKU costs and everything else, no extra software needed- there's no hidden fees, no contracts, no tricks! Tons of 5 Star Reviews! We have tons of great reviews from very satisfied clients from all over the country. People love our work, our helpful customer service first attitude and the way we make it all easy! 100% Money back guarantee- we stand behind our work and expect you to be extremely satisfied- if you're not, you don't pay. We only want happy satisfied customers, period! Matt came to my rescue for my e-commerce business. Not only did he take the time to explain everything over the phone, but I even got a quickbooks lesson. In short, he saved me time and money and was super quick with replies despite our time difference (I'm in NYC). Definitely recommend! CapForge has been a godsend for me. I found Matt by chance while trying to find a way to learn how to effectively use QuickBooks and he was the perfect solution. He didn’t just take over my books, he explained the concepts to me and let me do the lifting and now the bookkeeping part of the company is the easy part instead of the dread. Highly recommended. I stumbled upon CapForge in a Google search when I was looking for a company that could give me one-on-one Quickbooks training. After speaking to Matt I felt confident that they would be a good fit for me. My session was very informative and gave me all the tools I needed to get my accounting in order for our new business. I would highly recommend Matt and CapForge. Now we can concentrate on building our business and not worrying about the bookkeeping! Not only are the books finally getting done, but they are getting done RIGHT by pros who are extremely familiar with the ins and outs of the Amazon and E-Commerce business world! You always know exactly what you are getting and how much it will cost up front- no hourly nonsense like most bookkeepers out there! No Contract Term- Always Month to Month! We want you to be happy every month, not keep you around by locking you in with a long term contact or high cancellation fees! As Much Help As You Need! Our prices always include unlimited support for all your questions. We will help make sure you understand your books and you are getting the maximum benefit in deductions and write offs you are allowed. The cost of the service depends on the volume of business you are doing and if you are just selling through Amazon FBA or if you are also using other channels such as Shopify, eBay, etc.- every project is custom quoted for your exact needs. All of our pricing is a fixed, flat rate and there is never a contract term- it’s always month to month, so there is no risk! Simply get in touch with us to review your specific needs. From there, we will give you an exact quote for the catch up work, if any as well as the ongoing cost. If that works for you, we can get started immediately! You can start immediately! We are ready to help now and taking new clients so you can get caught up and get usable reports usually within a week to 10 days depending on your business and the specifics of your situation. Great- we love questions and think the more you ask the more you’ll see why we are a terrific choice for bookkeeping! Please give us a call (858-633-3573) or email us (info@capforge.com) and we can address any and all questions you’ve got before you do anything else! I'm Already Using QuickBooks- Will This Help Me? Absolutely! There is a lot to know and some things you may be doing wrong or at least could be doing better. We will start with a review of your current set up, and then we can help you make sure it’s 100% dialed in and also take over the monthly process. We can also get you 50% off the retail price of QuickBooks Online if you are currently paying too much for it! It’s simple- if at any time you don’t feel like you got your money’s worth we will refund your most recent payment on the spot. You risk nothing when you sign up with us- either you get exactly what you came for or it doesn’t cost you a penny. We will include your bookkeeping set up, entry of all the income and expenses, reconciling, inventory tracking, all reports, our custom Amazon tracking software, unlimited support for questions and anything else specific to your situation spelled out in the agreement we mutually come up with. We do all the work and provide all the deliverables and strive to make it as easy as possible for you! Simply scroll up the page and grab a copy of our book– aside from our free eBook you’ll get info on how to immediately request a detailed quote! Or, go to our contact page and submit your info and we’ll get right back to you on the next steps. It’s easy and fast and painless! CapForge is a great company for getting your QB right! Matt did exactly what he said he would and more. His explanations and his ability to teach you the correct way to handle QB is simplified to a way where its very easy to understand. I will use their services in the future and would recommend them to anyone looking for a professional. 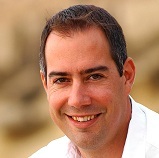 My name is Matt Remuzzi and I am the owner of CapForge Bookkeeping & More. I have an MBA and I am a QuickBooks Certified ProAdvisor. More importantly, I have over 20 years of small business experience and have worked with thousands of business owners over the years including dozens of Amazon business clients. I look forward to working with you as well and helping you get the most from your books and your business! 5 Stars! Matt is very personable and business friendly. He helps you understand complex terms and uses plain English to explain your options. We contacted him to help resolve several complications with QuickBooks and he was prompt, courteous and helpful in resolving our issues. We feel he totally understands small business and we are looking forward to working with him more as we grow. Ready to Get Started? Contact Us Today and End Your Bookkeeping Anxiety Immediately! Get Your Free eBook & Quote Info Now! Expertise, Service & Value The CapForge team has become an incredible asset to our quickly growing business. I had interviewed a number of firms prior to choosing CapForge because of their high level of skill, service, and availability to answer my questions. I highly recommend their services. Thanks for considering our service. Let me take just a minute and tell you why CapForge Bookkeeping is the best solution to your bookkeeping problems. Quickbooks is a complicated, powerful program that can be a little intimidating to use. You want to get it right because it’s the financial record for your business. It’s directly tied to critical functions like managing your cash flow, maintaining your bank balance, handling your inventory and keeping track of your income for tax time. Learning it on your own can be frustrating, and easy to mess up, and it’s also time consuming, inconvenient and requires you to learn a whole new language- accounting! Hiring someone who isn't an expert in Amazon seller bookkeeping is also a problem. You are going to be paying them to learn as they go and they won't have the experience of having tons of clients doing the same thing. They won't be able to offer much insight or help and may not even end up pulling out the right information. They will definitely cost more overall! 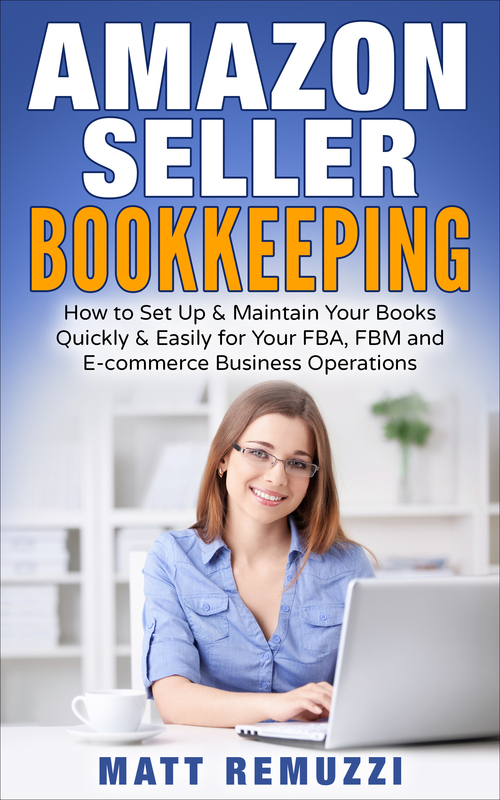 Let the already established Amazon bookkeeping experts take care of you and your business! You are working with a team that already knows Amazon inside and out. You get low, fixed rate prices and no long term contract. You get access to our custom built Amazon tracking software- no more keeping track of a bunch of spreadsheets! You can ask as many questions as you want and get straight forward plain English answers. You have no worries at tax time, everything is already done for you and ready to go to your tax preparer. You can get immediate insight into what is working in your business and what isn't. You will find out what additional deductions and write offs you might be entitled to take. You won't have to worry about how far behind you are any more because you won't be behind at all! First, get in touch with us by requesting a free eBook or sending us an email via the contact page or just give us a call- 858-633-3573. We will get right back to you on how we can give you an exact quote for your exact business needs. From there, we can jump in and get started immediately! We do all the work, you get to sit back and relax and work on the other parts of your business that need your attention. Simple, easy and fast! Matt is great! He is patient, knowledgeable and is very good at explaining not only what to do, but why it should be done. This helps with the training process. I highly recommend him! If you use our service and at the end of any month you aren’t completely satisfied with our work and what we offered then we don’t want your money and will cheerfully refund your last payment, no hard feelings. We feel THAT strongly that we can and will do a great job on your books and we are willing to take all the risk!